Let’s be real, if you’re still using Safari, you’re practically living like a caveman. (No shade intended – maybe). Launched in 2008, Google Chrome is one of the most preferred web browsers today. Encompassing simplicity, speed, and security all into one, Chrome is a must-have for any professional looking to get work done quickly and safely. Plus, with some of the top Google Chrome extensions, you’re taking your browser to the next level. 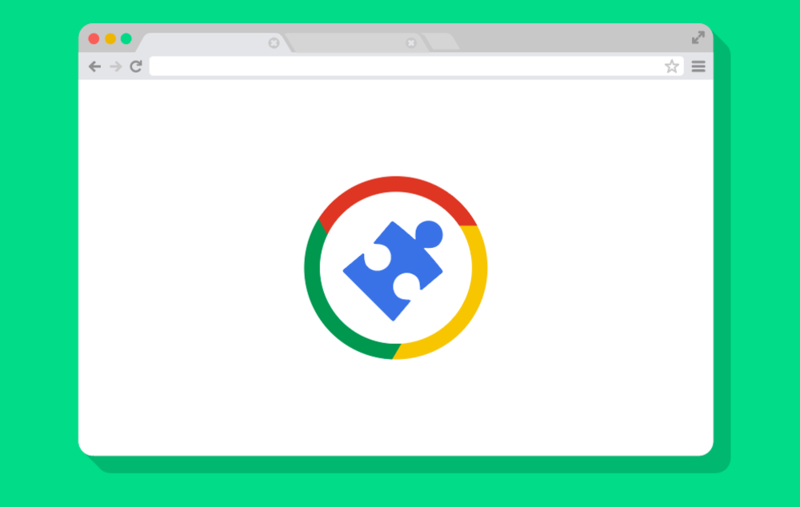 According to Chrome, extensions are “small software programs that customize the browsing experience.” With extensions, you can customize how Chrome functions based on your needs and preferences. You can manage what extensions you’ve installed by clicking more – the symbol – on the far right of your toolbar, then clicking more tools → extensions. You can also customize which extensions you want to live directly in your toolbar for easy access. Note: Not every extension will have this ability. Now that we’ve introduced you to extensions (if you are just now hearing of extensions, welcome to 2019. ), we’ve done a little digging, and these 16 extensions are on top-of list as the best Chrome extensions around. We've already installed them! Errors be gone: installing the Grammarly extension will help catch all those pesky grammatical and spelling errors you might not see at first glance. Plus, they’ve even launched a beta version for Google Docs – a lifesaver for me, at least! 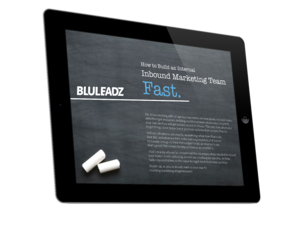 If you're an SEO junkie like the Bluleadz team, MozBar is the extension for you. Stats like page and domain authority, link profile, and keyword highlights are integrated directly into your Google search results, so no need elsewhere to find the data you want to improve your SEO health and performance! Yes, you counted right: 11 tabs. Luckily, Onetab is here to save the day. With Onetab, you can condense your millions of tabs into one short list. Remember the cluttered tab section my computer once had? If you want to transform a new tab into an all-in-one dashboard, download Start.me right now. Once installed, you can customize your new tab page to show bookmarks, recent news, quick links to social sites, email, and more. The organization of all organization. If you're a copywriter or in charge of content at your company, extensions #5 and #6 will be your best friend. 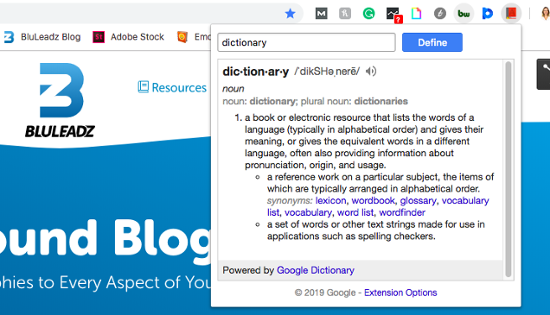 You no longer have to open a new tab and launch Dictionary.com. Just download Google Dictionary and gain immediate access to every definition you can think of. Looking up definitions is easy. Double click on any word in your browser to access that word's definition. Or, by clicking on the extension icon in your toolbar, you can search any word you like. This extension is another copywriter's dream. If you're like me when writing, you're constantly scouring Thesaurus.com for powerful synonyms to replace boring words. Well, with one install, you can say goodbye to Thesaurus.com. 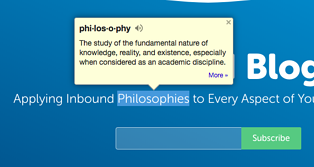 Power Thesaurus functions similarly to Google Dictionary. Click on the icon to discover synonyms for any word, or just double click on any word on your browser to signal a pop-up with the top synonyms. This extension is all about function and ease! Always make sure you're visiting secure websites with the HTTPS Everywhere Chrome extension. Created by EFF and the Tor Project, this extension will automatically switch HTTP sites to HTTPS: a more protected, safe website protocol. This can help prevent malware from infesting your computer and keep all your data and personal information secure and out of reach from hijackers. With today's shopping habits starting to shift completely online (for me, anyways), it's important to ensure that your personal information and payments are secure. Blur can take that stress away. When using Blur, you can do a lot to keep your information hack-free, like create encrypted passwords for websites, utilize its Masked Cards feature to always protect your payments, and block tracking from websites you visit. If I had to list it all, this article would never end. Don't make the mistake of heading to a sketchy website without knowing if your data is going to be stolen. The Avast Online Security extension will quickly identify and block phishing sites and untrustworthy sites, making web browsing a little safer for everyone. 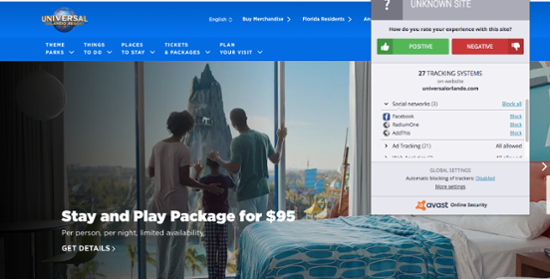 You can also check website ratings and reviews by hovering over the website's link, or even give your own rating with a simple thumbs up or thumbs down selection. If you're one of those people who are clearing their cache and browser history on a weekly basis, you can make this task a little quicker with Click&Clean. Click&Clean is a private data cleaner that allows you to clean up your computer browsing data with just one click. As one of the top-rated Chrome extensions, you'll want to download this one ASAP. Tired of seeing ad after ad when you are skimming your favorite website? Install Ghostery, and scare those ads away for good. 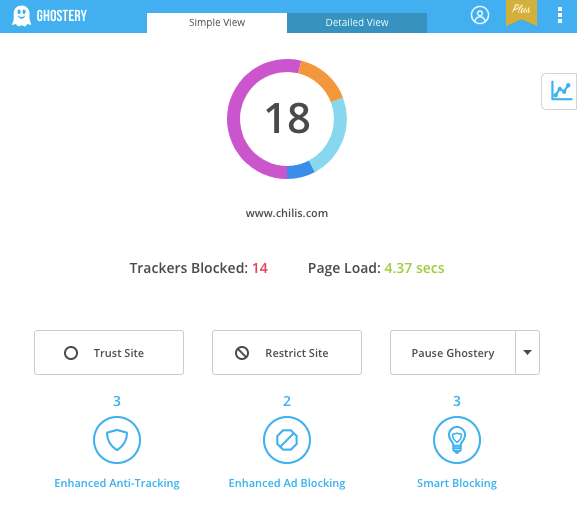 Ghostery helps you block ads from cluttering up your web browser, control who is collecting your personal data by viewing and blocking trackers, and improve site speed when searching the web. To-do lists are great ways to track what you need to get done in a given day. And, you can practically create a to-do list for anything: grocery shopping, errands, vacation prep, and yes, your job. Install Todoist to keep track of daily projects, tasks, and must-completes. It works on all your devices, including phone and tablet, making it even easier to manage tasks when you're in and out of the office and hopping on and offline. You can also prioritize and organize tasks to suit your preferences and share projects when collaborating with others. Yes, it's that simple! This extension's name explains itself: Stay focused, and get your work done. We've all done it: a little Twitter browsing, a little online shopping here and there – what you think is a mere five-minute break has turned into half the day wasted. StayFocusd allows you to block those pesky distractions that often consume us. 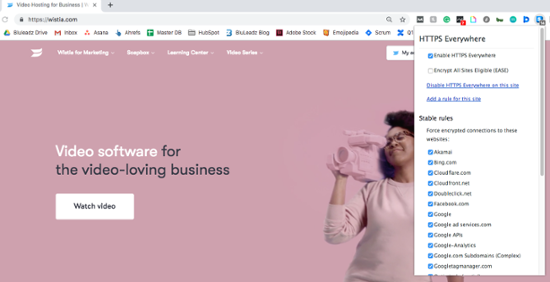 This extension lets you limit the amount of time you can browse specific sites to force yourself to get back to work and stay focused on the tasks at hand. Don't worry, it's all customizable. Just do yourself a favor and choose a reasonable time; setting your limit to 10 hours will negate the purpose of this extension. End distractions once and for all (if that's even truly possible.) Like StayFocusd, Win the Day lets you temporarily block those distracting sites you always find yourself on. Set habits, create goals, and establish daily targets to increase productivity and encourage accomplishments. Plus, you can add up to three habits you hope to implement into your work efforts and keep yourself going. Hopefully, with this extension, you'll accomplish all your goals and develop new, healthy habits! Stop writing down every single password you've every created: Keep them all safe and within immediate reach with LastPass. As a password manager extension, LastPass saves you time and energy when signing into different sites. Plus, it's a little more secure than that piece of paper you keep folded up in your pocket. Just create a LastPass password, and store all your passwords in one place. Clockify Time Tracker is a handy app that can help you track time to complete tasks and projects. But, with the Clockify extension, you'll have quicker access to this tool right on your desktop. The Clockify extension can even integrate with other popular productivity apps, like Trello, Jira, and Gmail, so keeping yourself on track will be a breeze. While these 16 extensions are a great place to start, there are way more than we can count. 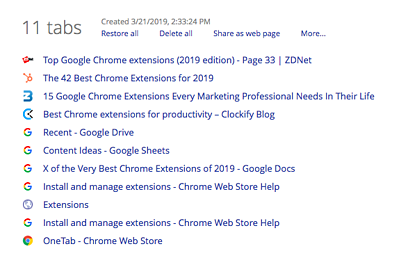 Check out the Chrome Web Store and see what extensions might catch your eye. With extensions integrated into your web browser toolbar, you'll be more productive and secure, and you can create a better browsing experience for yourself!